In online public consultation, meaningless anonymity occurs when participants are offered the opportunity to sign up and contribute with no layer of authentication. Previously, we have looked at why privacy and authentication are crucial to your online engagement. Below are 9 considerations for organizations when it comes to anonymous online consultations. 1. The data collected is indefensible and not legitimate. There is no way to determine who is participating in your online consultation. The very real problem of spammers and sock puppet ballot stuffing means that the 1,000 responses collected from your consultation could potentially come from the same person. Just ask your local whiz kid hacker. Such data cannot be considered a legitimate basis on which to support your organization’s policy decisions. 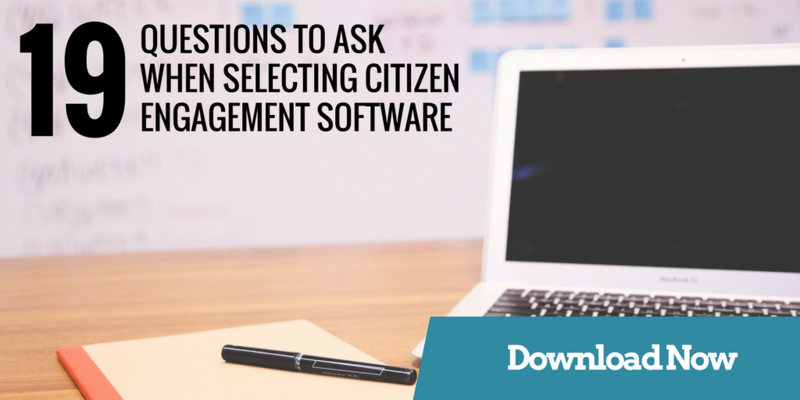 From a citizen’s perspective, how can you be sure that your feedback is going to be considered? Who else is being included in the anonymous online consultation — other affected citizens like yourself, or members of special interest groups trying to influence the decision? This is especially key when it comes to unpopular policy decisions being made without social license. How do you separate out the chatter of slacktivists — people who participate in low-effort, feel-good measures in support of an issue that have little practical effect — from engaged residents who are hoping to participate in in-depth discourse? 4. Trolls act without fear of repercussion. A University of Houston study found that “anonymity made a perceptible difference: a full 53% of anonymous commenters were uncivil, as opposed to 29% of registered, non-anonymous commenters.” Not only do trolls derail conversations, they create a crude, negative and unwelcoming environment which puts off others from participating. 5. Operating in anonymity breaks down public trust. 55% of Canadians believe that public consultations are just for show and that their feedback will not be taken into consideration. Policy decisions can be strengthened by including diverse internal and external stakeholder groups in the process. However, if this is not transparently disclosed to citizens, your consultation will be perceived as a farce, resulting in a lack of trust in your organization. 6. Data cannot be contextualized. For data to become information, it must be contextualized, categorized, calculated and condensed. (Davenport and Prusak, 2000) Anecdotal data such as public opinion must be framed appropriately to be useful in the decision-making process. Feedback received through an anonymous online consultation cannot be contextualized (to any number of frames, such as age, gender, race, ethnicity, sexuality, lived experience, etc. ), resulting in a lack of nuance. 7. Statements are essentially hollow. If participants have a controversial point to make, but are unwilling to stand behind it openly, it is difficult for decision makers give it serious consideration. 8. Your consultation is easily hijacked. During an anonymous public consultation, it is easy for special interest groups or trolls to take over the conversation or vote multiple times in order to sway the final result. In internet parlance, “freeping” — the practice of stacking online polls — is extremely common. Even TIME Magazine’s 100 most influential people poll wasn’t immune to it. How will you be able to tell when this has happened? 9. Bad data results in bad (or no) decisions. Bad data is basically useless when it comes to making policy decisions. Canada’s failed National Household Survey is a prime example of this. Now consider the calibre of data that comes from an anonymous online survey where participants may or may not be impacted by outcomes, with the potential of trolls, spammers and interest groups. Policy decisions — especially unpopular ones — made with such data simply cannot be justified. However, PlaceSpeak acknowledges that there are situations where people may not wish to reveal their personal identity to other participants. What is the solution? Introducing the concept of authenticated anonymity. PlaceSpeak has always been proud of our geo-verification process, which is unique amongst online public consultation platforms. When a user signs up, they must verify their address in order to participate in a public consultation. This way, organizations can be confident that participants are real people residing in a relevant location. When it comes to controversial topics, PlaceSpeak users can choose not to have their name shown publicly on discussion boards. It’s a win-win situation: participants can speak their mind on sensitive issues, while organizations can still be certain that the data collected is legitimate and can be contextualized to place. That said, in all the years that PlaceSpeak has had this feature, we have found that less than 5% of PlaceSpeak users choose to be anonymous. We have observed that once people are authenticated, they are willing to take responsibility for what they say and participate in a mature and respectful manner.